Cable companies after fighting net neutrality tooth and nail are looking to get Congress to give them the rights of fast lanes while claiming that they do not want throttling or bandwidth limits imposed. The cable companies know where the dead bodies are buried and the want the fast lane cash. They are not stupid, but with a divided Congress it is simply not going to happen. 30:04–Did you know these iPhone apps record your screen? 49:44–1080p? 2K? UHD? 4K? 8k? The post Cable Companies want Fast Lanes! 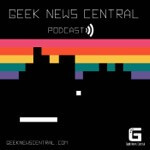 #1345 appeared first on Geek News Central.